Patients who have lost a significant amount of weight after bariatric surgery or a strict diet and exercise routine may still feel their body doesn’t reflect their commitment to a new, healthier lifestyle. This is often due to the excess skin that can occur after dramatic weight loss. While a body lift may be something to consider, loose skin on the abdomen seems to be a very common concern. A tummy tuck, also known as an abdominoplasty, is typically the best way to remedy this issue, because skin laxity cannot be addressed by diet and/or exercise. Women who have recently given birth to a child might also feel that although they have remained dedicated to working out and eating right, their abdominal area appears to be unaffected by their hard work. Part of the tummy tuck procedure can include a tightening of the abdominal wall, which is often weakened after childbirth. This tightening of the muscles, in addition the removal of excess loose skin can help many mothers regain the silhouette they desire. 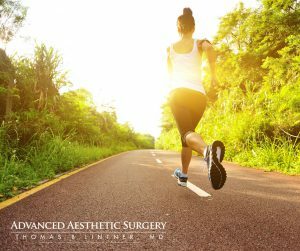 Whether patients are looking for assistance after massive weight loss or are trying to refine their post-baby body, there a few different options when it comes to abdominoplasty – mini tummy tuck, full tummy tuck, and panniculectomy. Depending on each patient’s individual situation, I will help them determine which procedure can best meet their needs. If you are interested in learning more about tummy tuck surgery, body lift procedures, or a mommy makeover, please do not hesitate to contact us today. My knowledgeable and friendly staff can help you find the answers you need. For more personalized answers unique to your situation, I will be happy to meet with you in a one-on-one consultation.